Are you fed up with always being exhausted and not having the energy to do what you love? Happy Body, Healthy Woman is a 12 session series designed to help you learn and implement new approaches to eating, moving and living, for a more vibrant, happier you! When you’re busy with your life, self-care tends to fall to the bottom of the priority list. But it doesn’t have to be that way. You can eat clean, healthy foods that taste good, don’t break the bank and don’t require hours in the kitchen. You can enjoy moving your body and the feeling of strength and health that it brings. You can take time for yourself and feel good about doing so. YOU decide what your goals are, and we help you reach them. YOU create your ideal food plan, we help you find your way there. YOU have the answers inside you, we help you draw them out and act on them. All in a fun, supportive group atmosphere! And of course, each session will include ample time to check in with the group, and get the support you need. You don’t have to do it alone! You’ll receive shopping lists, recipes and more – eating healthy can be easy and even taste good. 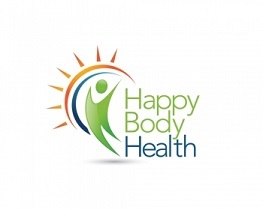 If you’re ready to make real, lasting lifestyle changes for a leaner body, a more focused mind and more energy, joy and passion, join Happy Body, Healthy Woman now. To be notified when the next session begins, click here.